There are a lot of opportunities to be social in the coming month. The month of September brings along many opportunities for building community. If any of you in the Los Angeles area are interested in attending some events, here's a rundown of what's coming up. 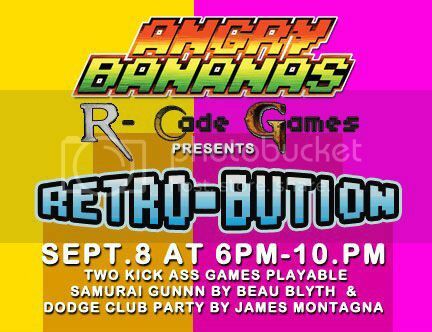 September 8th we have a free event "Retro-Buition" by our friends over at Angry Bananas. Join them at R-Cade Games to try out two new indie games: Samurai Gunn by Beau Blyth and Dodge Club Party by James Montagna. You can RSVP and check out the details over at the facebook event page. The weekend of September 15-16, the Los Angeles Convention Center will host the second annual Comikaze Expo with Stan Lee and Elvira. 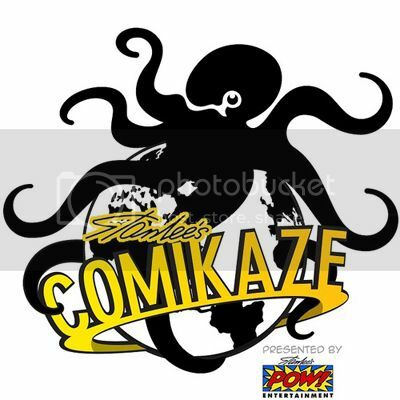 Some of you may remember our coverage from last year's Comikaze Expo. Needless to say, the event was a lot of fun last year and we expect it to be even better this time around. You can check out their website for a full list of guests, including Spawn creator Todd McFarlane, Adam West of Batman fame, voice actress Tara Strong, various Power Rangers and, of course, the main attractions Stan Lee and Elvira. You can purchase tickets here. At $20 for a day or $30 for both, Comikaze if one of the most affordable conventions open to fans. Finally, our friends over at StreetPass Los Angeles will be holding their monthly Mario Kart 7 tournament at the Little Tokyo mall in downtown, Los Angeles September 16th. As always, this is a free event and you don't even have to compete - you can just attend and meet some other gamers if you like. You can RSVP and check out the details at the Facebook event page. We hope you all find something fun to do this month. Remember, you can also connect with us on Facebook, where we will share upcoming events. If you know of any other events the community may be interested in, let us know! You can email me personally at rafael@latinogamer.com or share on our facebook page.